The Venetian old town of Rovinj is full of narrow cobbled streets which wind up the hill and overlook the sparkling Adriatic Ocean. It’s home to little artists’ shops and galleries where you can pick up trinkets, gifts, and souvenirs, as well as having some excellent restaurants. Head down to the waterfront for parks, yachts, and some cool beach bars. If you prefer to spend your days on the beach, Lone Bay is just a 15-minute walk away. Here you’ll find a group of little shingle bays where you can spend your days soaking up the sun and ordering refreshments from the snack bars. 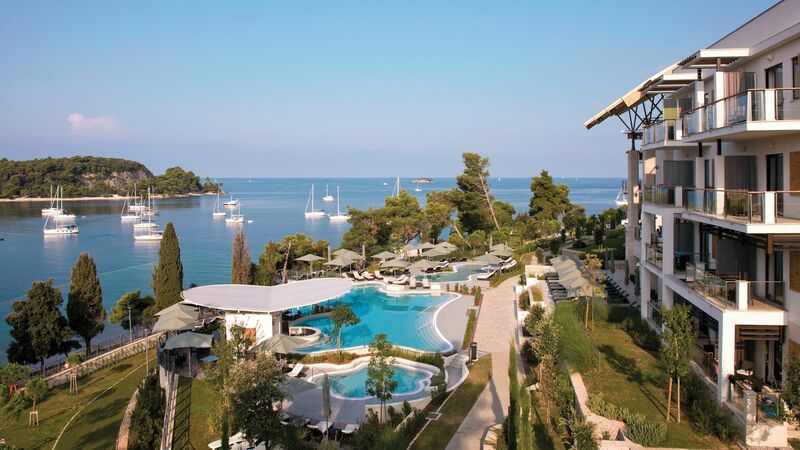 Luxury holidays in Rovinj come as standard. This little town is well known for its beautiful architecture which houses a wealth of upmarket boutiques, local artist galleries, and luxury hotels. When it comes to dining you can try traditional Croatian fare, or stick to some international favourites. Seafood is a speciality here, after dinner try a glass of the local wines produced in the hillsides surrounding the town. 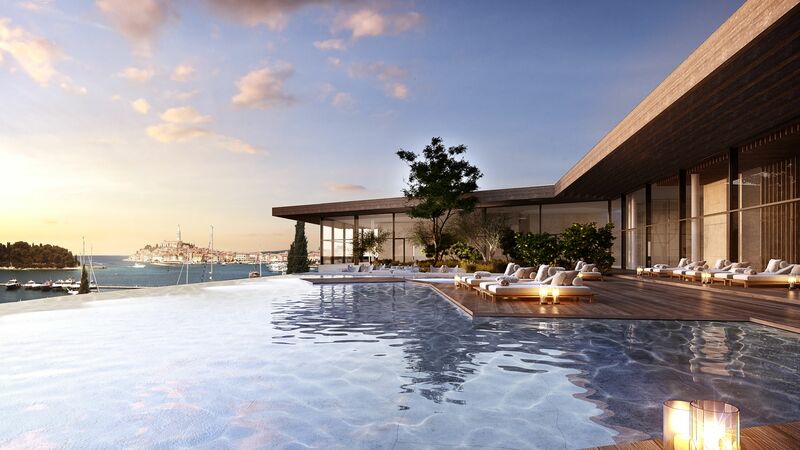 Choose Sovereign for your luxury holidays in Rovinj and we’ll make sure everything is taken care of, so you can simply relax into holiday mode. Each of the properties we offer has been carefully selected to ensure it matches up to our exacting standard, so you know your holiday will be one to remember. 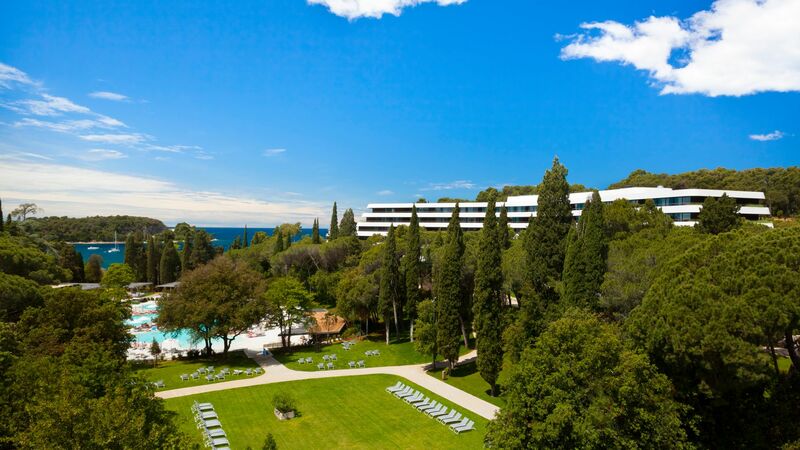 Stay at the Hotel Lone for scented pine trees and views of the glittering Adriatic below, or the Hotel Monte Mulini, which has elegant décor and a boutique feel. Transfer time from Pula airport to Rovinj is approximately 40 minutes. July and August are the hottest months (temperatures can reach into the mid-30s) and attract the most visitors. June, September and October are great months to visit. It's less busy, plus the weather tends to be warm and dry (spot on for sightseeing).